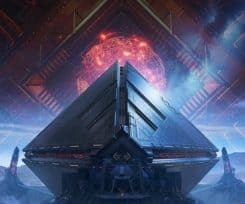 If Destiny 2 lag has been taking away the fun of you playing the game then this detailed article is definitely going to help you solve your network issues. Destiny 2 ever since its release back in September, has been plagued with lag and high ping issues. 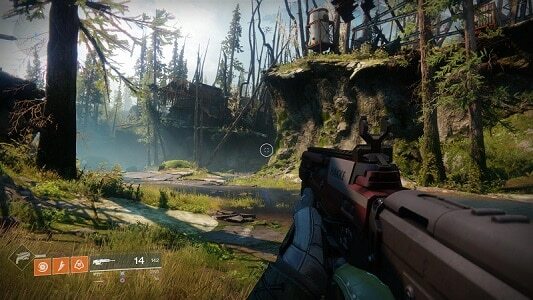 While these issues are subjective, to some extent, Bungie themselves were at fault. Maybe the immense response from the community was not expected by game developers. As a reason, many around the world faced lag and latency issues, a solution of which was nowhere to be found. Today, I will elaborate you on some workarounds which have been tried and tested and will likely help you reduce Destiny 2 lag. First, however, I’ll take a look at what lag actually is and how it poses problems when playing Destiny 2 game. What is Destiny 2 Lag? Lag is basically a minor delay that you experience when you press a button and see it respond in the game. For instance, when you fire a few bullets at an enemy and witness it a few seconds later in the game. 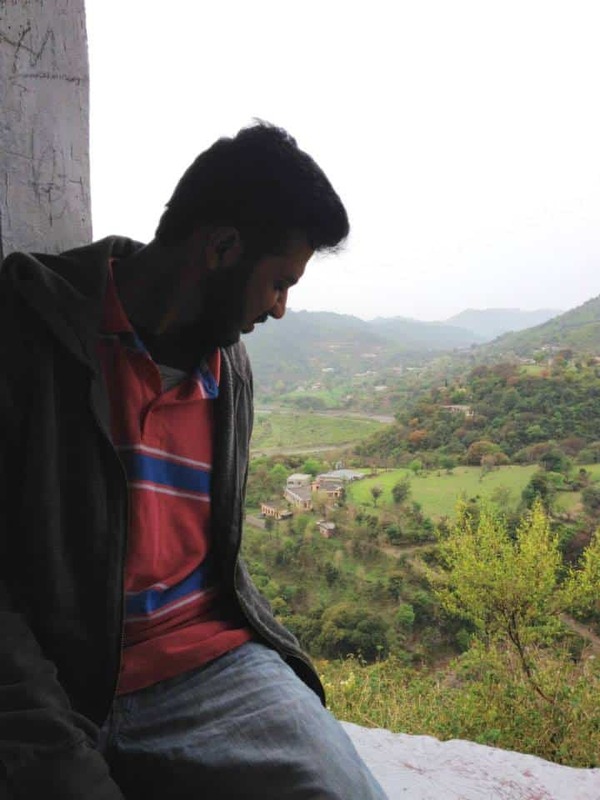 This delay is termed as lag and can happen anytime due to various reasons. High ping, rubber-banding, packet loss are three major reasons why you might be experiencing Destiny 2 lag. Assuming you already know what ping means, high ping occurs when data takes more than the usual time to transfer from your computer to the game server and back. This leads to a delay when you register a command and when it is registered for others by the game server. Meanwhile, others play with a nominal ping; it’s you who tend to experience high ping. Another cause of lag can relate to packet loss. This happens when data packets are lost in between the process. In this case, there are two options. Either the data is being resent after a delay or new data is being sent. In both cases, a smooth gameplay is jeopardized, and you are left with nothing but frustration. And it’s not like Destiny 2 players have been left in the cold by Bungie. Game developers are constantly trying to ensure that they are doing all in their power to solve the gameplay problems. This is quite evident via their twitter page where you can see regular tweets regarding updates and fixes for issues related to Destiny 2. We are actively investigating reports of Destiny 2 PC frame rate stuttering after accepting Hotfix 1.0.6.1. However, there are some issues that cannot be solved. In many cases, the problem arises on the part of an individual player. Some tweaks, however, can greatly enhance your gameplay, and I am here to help you do that. It is important that your modem remains in a working condition and receive proper signals in order to give you smooth gameplay experience. Wi-Fi signals may often disconnect if your router is old. This can also happen if a large number of users are connected to the same router and the bandwidth hasn’t been allocated. The best possible workaround to it is switching to a wired connection so that you get a stable connection plus the bandwidth isn’t being shared by someone else. If you can’t, it’s better to get yourself a new router and limit bandwidth for others. 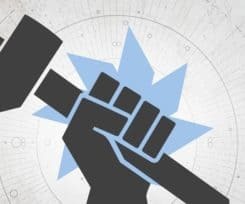 According to a statement on Destiny 2 official website, malfunctioning hardware can also trigger Destiny 2 lag. This hardware problem can be on the ISP end, server side. In any case, you will face lag issues. While a direct workaround for it isn’t available, you can still make sure that you aren’t at fault. To do this, first ensure that your network card is working properly. Next, you can call your ISP to inquire if everything is working fine on their end as well. Distant servers, data congestion, are two of the most important issues that can plague your Destiny 2 gameplay experience. This happens if you are connected to game servers that are far away from your home location. Another reason relates to an unprecedented load of traffic that is being sent from the same gateway which can result in online traffic congestion. Most likely this is where you or your ISP is at fault. While the issues mentioned above can be solved manually, network issues are something where you will need a helping hand. This is where online gamers’ trusted Kill Ping comes into play. With Kill Ping, you will be able to solve your Destiny 2 lag if it is related to the network problems mentioned above. 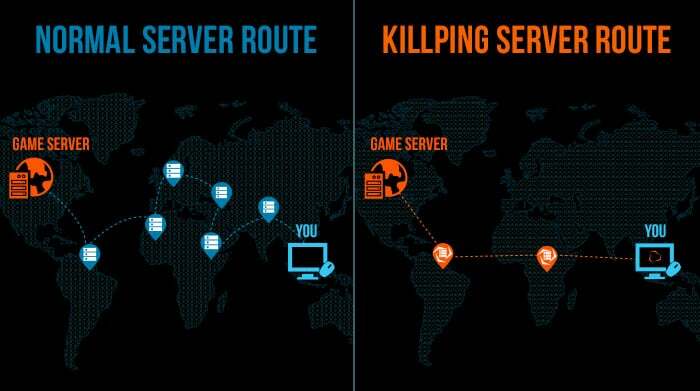 Without going into technical aspects, here is a pictorial representation of how Kill Ping will help you out. Kill Ping helps your data packets bypass the standard path and reach the destination through a dedicated route. Plus it will ensure that you remain connected to the game server with the least ping that is available at the nearest location from your country. Not only that, Kill Ping’s advanced algorithm will ensure you get the least ping and face minimum Destiny 2 lag. If you have tried all other workarounds and still can’t find a way to solve your lag in Destiny 2, then I highly recommend you to give Kill Ping a try. There’s a 15-Day Money Back Guarantee so even if it doesn’t help you it won’t cost you a dime. 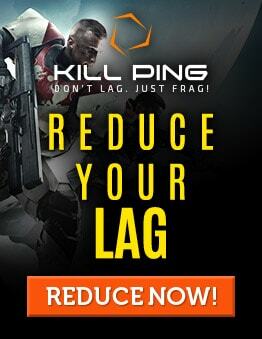 So take a leap of faith and try Kill Ping today!